We have a large private parking lot which is monitored 24 hours a day by camera and security personel. The Maui Tropical Plantation offers your guests a one-of-a-kind Hawaiian experience that they will never forget. Our tropical grounds offer breathtaking venues to accomodate any event - from a farm to table dinner under the stars to a large cultural celebration at the foot of the West Maui Mountains. Our hands-on coordinators and elite culinary team, are eager to throw you a once in a lifetime celebration! The Mill House is ready to send our elite Chefs to your venue for an unparalleled dining experience you won't soon forget. Executive Chef Taylor Ponte leads our award-winning culinary team, with a mind for quality and a heart for delighting clients. Taking advantage of our exclusive relationships with Maui’s finest farms, we will secure the highest quality ingredients for your meal. You will enjoy the authentic flavors of Hawaii. The Mill House sits at the heart of Maui Tropical Plantation, surrounded by farmland, against the breathtaking Waikapu Valley. 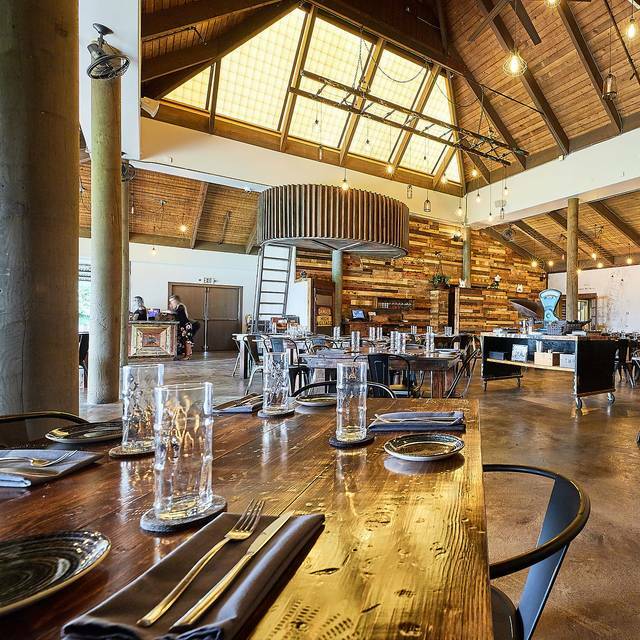 The Mill House kitchen and bar offers an innovative approach to local ingredients. With two indoor dining rooms facing East or West, and outdoor patios, all seating is open-aired. Guests will be seated in one of our many dining areas, with varying types of ambiance. 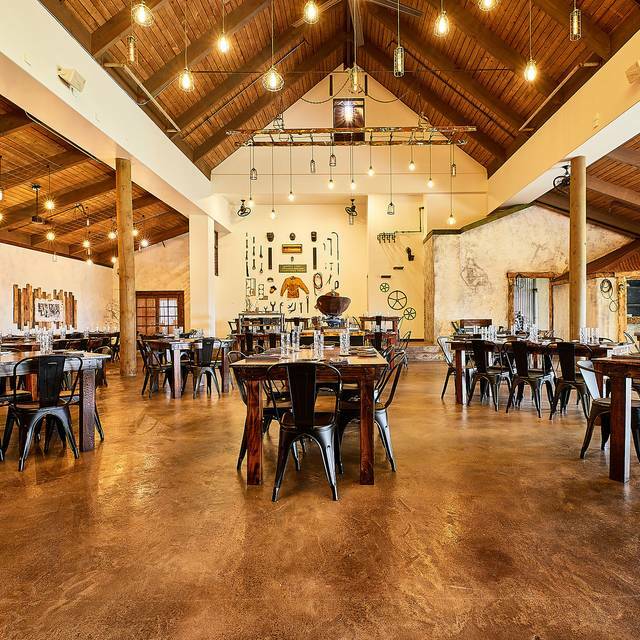 The east facing Sugar Room is a warm industrial-inspired space with vaulted ceilings, and long farm tables. The West-facing Plantation room is inspired by the farmland beyond. 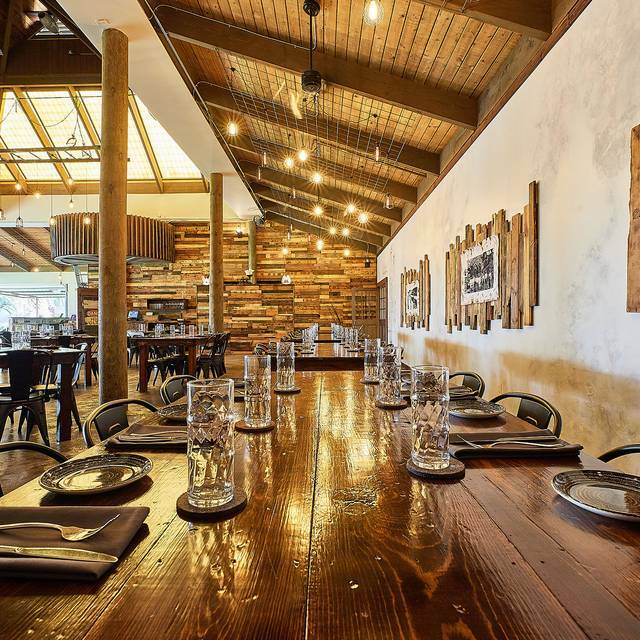 Weather permitting, outdoor seating in the Gear Lounge and Plantation Patio are lined with plantation windows, lava rock walls, and tropical gardens. 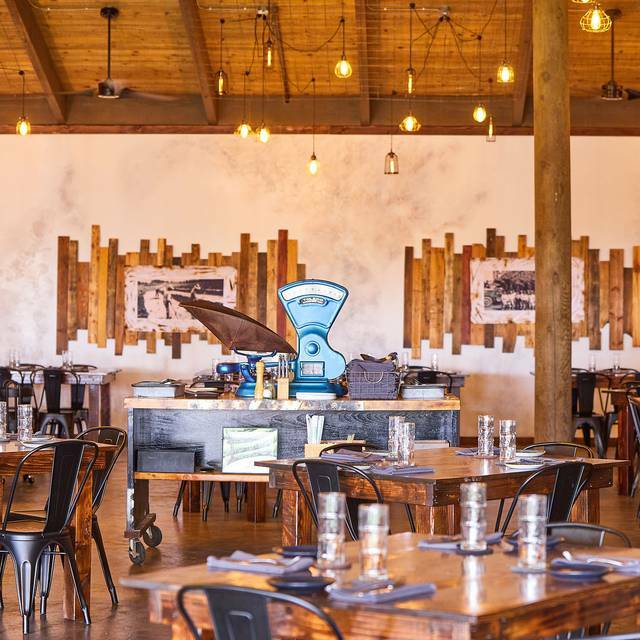 All dining areas pay homage to Maui’s sugarcane history with reclaimed and restored pieces from the area’s now closed sugar mills. We note but cannot guarantee seating requests. The best opportunity for patio or view seating is between 2-5pm. Be bold; try a few. Share several. Explore the creativity. Our server yonce (not sure how to spell it) was amazing! He made sure we were happy and made our anniversary dinner something to remember! He recommended an amazing wine and told us what to pair with it. Loved every minute of it!! Excellent food, ambience and service. Our order was messed up in the kitchen and the staff were profusely apologetic and rectified the error immediately. Highly recommend this restaurant. We LOVE this restaurant....food, service...awesome. Had a drink in the bar first, and Gina the bartender was awesome. Even made my wife a drink she had never heard of. The grounds are incredible...get there early and walk around. The only drawback this time was the wind blew fairly hard outside...but they gave out warm blankets for anyone that wanted one. Hard to control the weather. Had a wonderful meal at The Mill House. Every dish was excellent and the staff was friendly and knowledgeable. My only (minor) complaint is that our waiter didn't check in on us very frequently. But when he did, he was great. I will definitely be back on my next trip to Maui. Get away from the busy, beach side spots and check out the Mill House on your vacation! Mill House has it all! Beautiful setting, interesting/eclectic decor, innovative dishes, great drinks; i’m not sure what one could recommend to make this place better. Located on the plantation, with shops, zip lines, duck pond and much more, this is a great spot to visit with or without kids. Enjoy! Beautiful setting, but disorganized & way over priced. Lovely setting, delicious cocktails and great service. We are happy you enjoyed your dining experience! We'll see you on your next visit! Great spot for an anniversary dinner! Service was perfect, food amazing, breathtaking views. Looking forward to going back again soon. Mahalo for celebrating your anniversary with us! We're delighted to hear you enjoyed your dining experience and look forward to welcoming you again! Outstanding experience. Beautiful environment, and outstanding service, combined with excellent food at a reasonable price. We're delighted to hear you enjoyed your experience at The Mill House! See you next time. Amazing food and service! You walk a cute path back to the restaurant, and the ambience is unreal! The owner saw that I was cold and brought me a blanket without me asking! The fresh catch was tender and flavorful. We would definitely return!! We're delighted you enjoyed the flavors of the farm-fresh cuisine, as well as the garden paths! We look forward to when you return! Mahalo for enjoying the plantation views, attentive service, and menu items! Please come back soon. Cheers! Exceptional service, delicious food and beautiful location. Make sure to sit in the back room, with open door/wall views up the mountains! Really lovely spot. Beautiful and delicious food in a gorgeous restaurant with amazing views of Maui mountains, a stream, and an astounding plantation. Thank you for an amazing meal. We look forward to returning for dinner on our next visit to Maui! We are so happy to hear you enjoyed the valley view as well as your meal! We can't wait to host you during your next Maui vacation! I love the manager bartender. He is awesome. Great to hear! Mahalo for being our guest. Innovative cuisine presented by warm, professional waitstaff. This is not merely farm-to-table; rather this is a table at the farm, as all the ingredients are grown on site. One of our favorite dining spots on the Valley Isle! Aloha Martin! Although we do utilize many of the produce grown here at the plantation, we also source from many local farmers and ranchers here in Hawai'i. 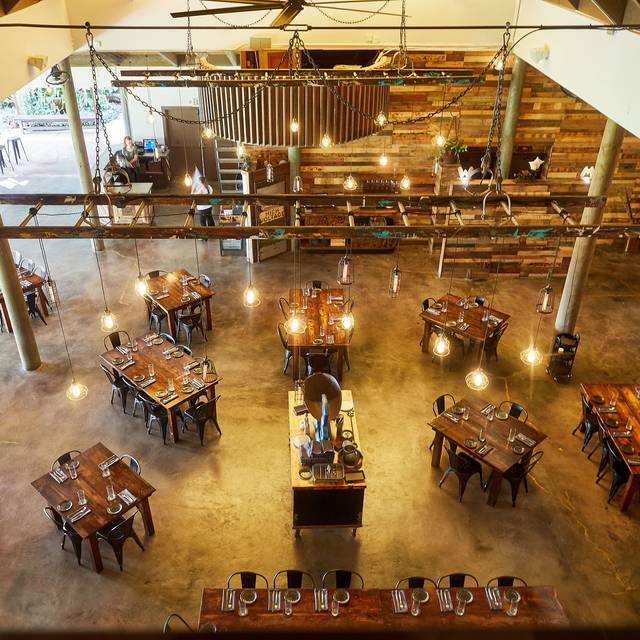 We are so happy to hear we're one of your favorite Maui dining spots. Mahalo! Great food and view ! Loved everything about it ! Waikapu is a special place of natural beauty! We're thankful you loved your time at The Mill House and the Maui Tropical Plantation. I had the coconut shrimp and fish curry, it was absolutely delicious! Everything was so flavorful. Great choice Elizabeth! There's so much aloha in that balanced dish of flavors, thanks for your review. don't get the burger. two very thin pieces of meet, no lettuce/tomatoes. a real letdown. also the fries were thin, not crunchy, but also not juicy. vanilla ice cream was delicious. Aloha Charlie, We are glad to hear that the housemade vanilla ice cream was the highlight of your dining experience. Our apologies the Burger and Fries were unsatisfying. The Executive Chef is addressing these concerns. Mahalo. I came here with my husband while on our trip to Maui, and we were not disappointed! The ambiance was great, the view of the hills was amazing, and the eggplant dish we had was phenomenal! It is pricey, but the dishes we ordered were all farmed from the plantation, so it made it worth while. We are delighted to hear you and your husband enjoyed the farm-fresh flavors and views! We would love the opportunity to host you again. Mahalo! Do the happy hour, great deal, great view. Incredible service....amazing food! A spectacular experience we had! The food tastes interesting, healthy and unique. The dishes can be shared so that more can be sampled. We had more vegetables here than other restaurants in Maui, without realizing the meals were mostly vegetables - they were very delicious and filling. We would come back the next time we visit Maui. The restaurant itself is very interesting with historic relics. We enjoyed the atmosphere and service. My husband and I travel a lot and have eaten all around the world and this was probably hands down the best meal - food, cocktails, service, ambience - that we've ever had. Everything was given such attention and done to such detail that it was truly a one of a kind dining experience. This meal made our trip to Maui - it was the biggest highlight of our trip! Thank you to the entire staff for making our anniversary dinner so special... especially Daniel for the exceptional service & care all evening. Thank you so much for your kind compliments and for celebrating your anniversary with us! We're thrilled to be the highlight of your Maui trip. It brings us great joy that the farm-driven dishes, ambiance, and service were all to your liking. Please come back soon! Great dining experience and we were greeted with complimentary drinks as it was our honeymoon. The environment and surrounding scenery was breathtaking. SO enjoyed everything especially meeting Executive Chef Taylor . Two of us had the fish sandwich but I sampled three items from the start menu - all quite delicious & interesting. The iced coffee - best ever ! We'll be back ! Didn't have time to see everything & want to check out the coffee hale. Most impressive artistic enhancements in the architecture . Much to look @ ... loved it all. We had a wonderful dinner at The Mill House on wed night. Our table was with a great view of the amazing foliage, the waiter was very attentive and friendly, and the food was delicious. We will be back! This was one of the best meals I’ve ever had. Ambience was amazing, service was exceptional! I’ll definitely be back! First time at this restaurant. It was delicious and the server was friendly and super helpful. Kianna Gram goes above and beyond and is an excellent server! Service was impeccable, 5-star quality. The quality of the food was amazing as well. We went at night, so the mountains view was dark, but the lights they have all around the property make for an unforgettable experience. Perfect for kids, but also perfect for date night. They have blankets in case you get cold even...no body does this! What a great place!! Must see in Maui. Hands down best food and ambiance of our entire trip. All local ingredients. Try to get a reservation during sunset, views are spectacular. Amazing. Must do for any honey moon couple like us!! Amazing views and beautiful plantation. Food is delicious : we tried very original things such as the taro leaves risotto etc.. The service is outstanding : we were offered macaroons (lilikoi) for our honeymoon, which was a really nice touch! Absolutely go there if you are staying in Wailuku and if not, make it a day trip to visit the plantation.